While speaking to the sidelines of the first stock-taking meeting on the Global Tiger Recovery Program, Keshav Varma, the program manager for the World Bank-led scheme revealed something very important. 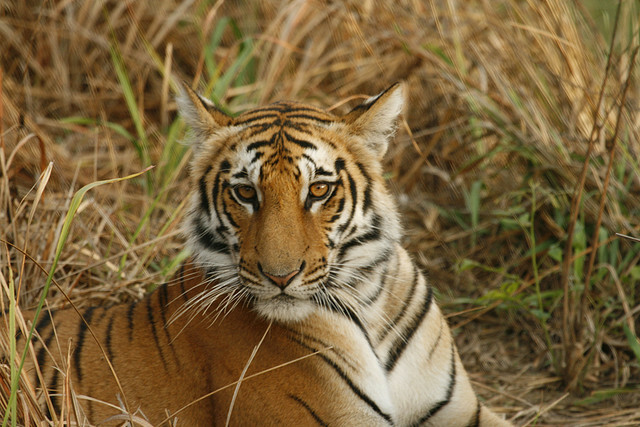 “India has sought assistance of $30 million under the Global Tiger Initiative”. India is against the usage of the bank funds to be used for protection and running of tiger reserves in the country. Although he suggested that the funds will be used for the Wildlife Crime Control Bureau and international collaborations. The information was discussed in the stock-taking meeting which was hosted by India itself including 150 delegates and experts and everyone witnessed the difference in approach between the World Bank initiative and Indian Government even on the inaugural day of the workshop. The contradicted proposals were also witnessed at the meeting where Varma demanded of creating wilderness spaces with no human presence and for complete isolation of the wild lives but environment and forest minister Jayanti Natarajan emphasized on the rights of people living in the vicinity of forests with protection and involvement. Although he (Natarajan) explained further about the preference of ‘human agenda’ over ‘tiger agenda’ since he believed the involvement of the local people for the sake of wildlife conservation. As Rajesh Gopal stated, “in earlier cases also, for the save tiger initiative, India supported for the country specific solutions and won the debate on maintaining the issue as a ‘sovereign one’, member secretary of the National Tiger Conservation Authority. The workshop to be held is expected to set the agenda for this year to negotiate the common parameters for assessing conservation efforts. In contradict, Varma focused on the role of the private sectors in conservation efforts the interest on which was not preferred by the government till date. Although many private agencies and corporate have shown interest in getting involved in management of such reserves that helps in improving their branding. The Union Government will present fresh guidelines in this respect to the Supreme Court about regulating tourism around the tiger reserves within few days.